Cameron Monaghan - Black Chalk Photoshoot - November 2016. Photographed sejak Sarah Mireya for Black Chalk Magazine, November 2016.. HD Wallpaper and background images in the Cameron Monaghan club tagged: cameron monaghan photoshoot magazine black chalk sarah mireya 2016. 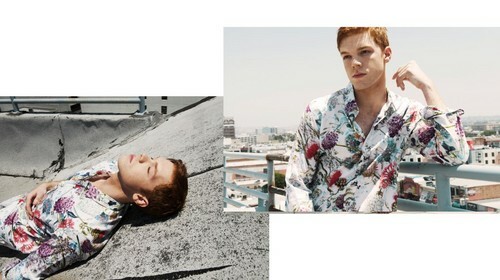 This Cameron Monaghan photo might contain jubah mandi and jubah.